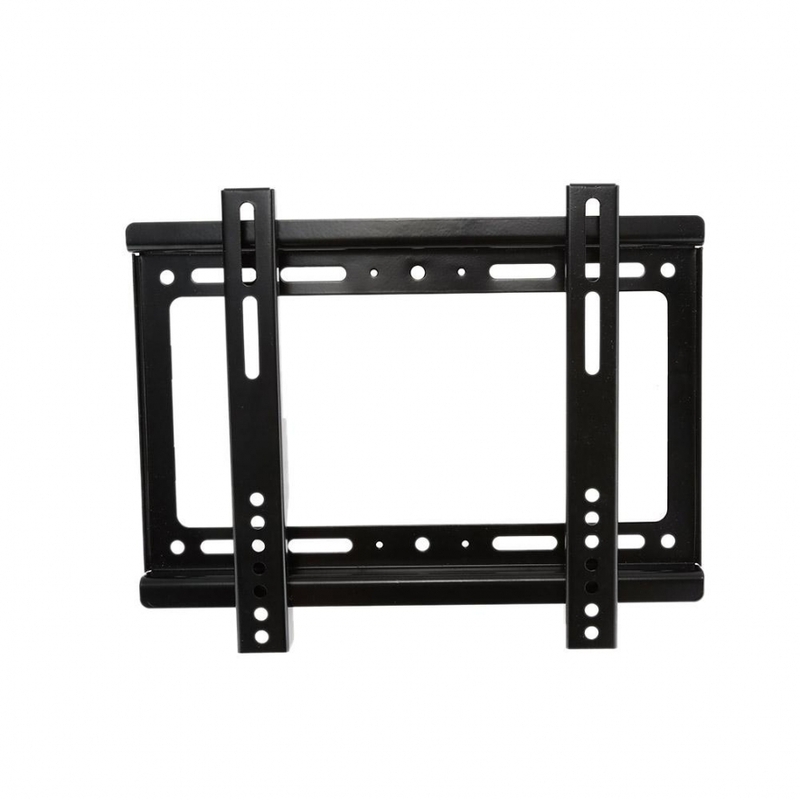 The TV Wall Mount is specially designed to mount the Slim TV (14" ~ 42" Screen) on the wall of Living Room, Bedroom, Meeting Room, Training Room, Classroom etc. 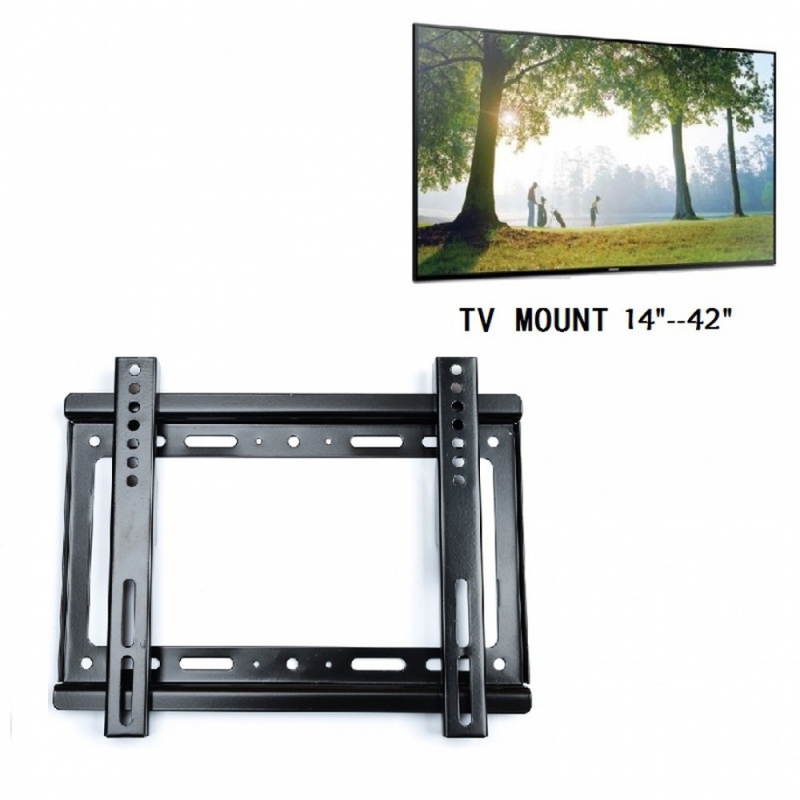 The TV Wall Mount with high-performance can hold a TV with flat screen between 14" and 42". 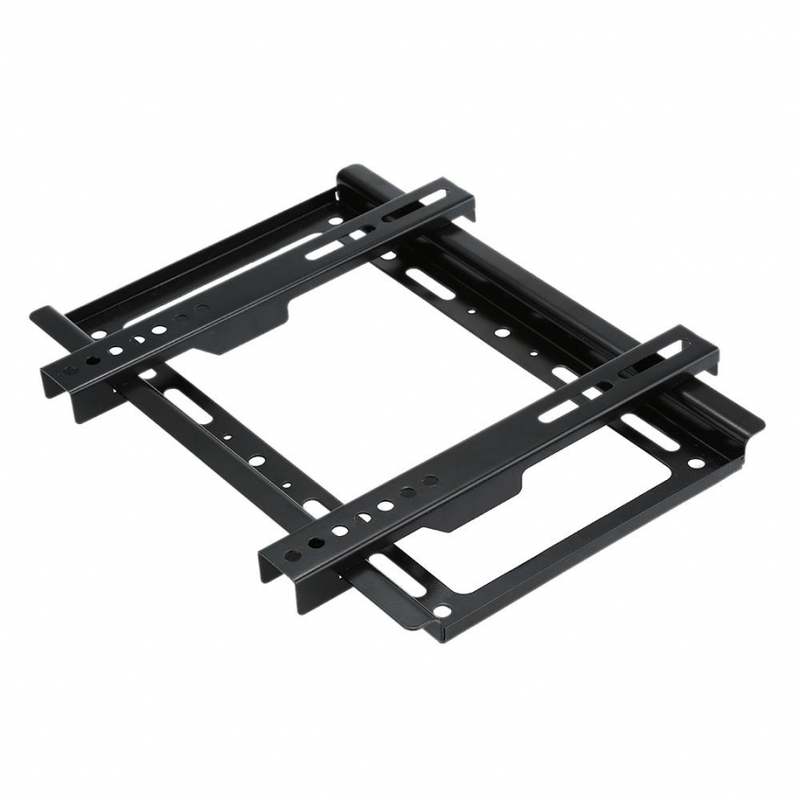 It will bring much convenience to Home Entertainment, Work, Training, and Study, etc. 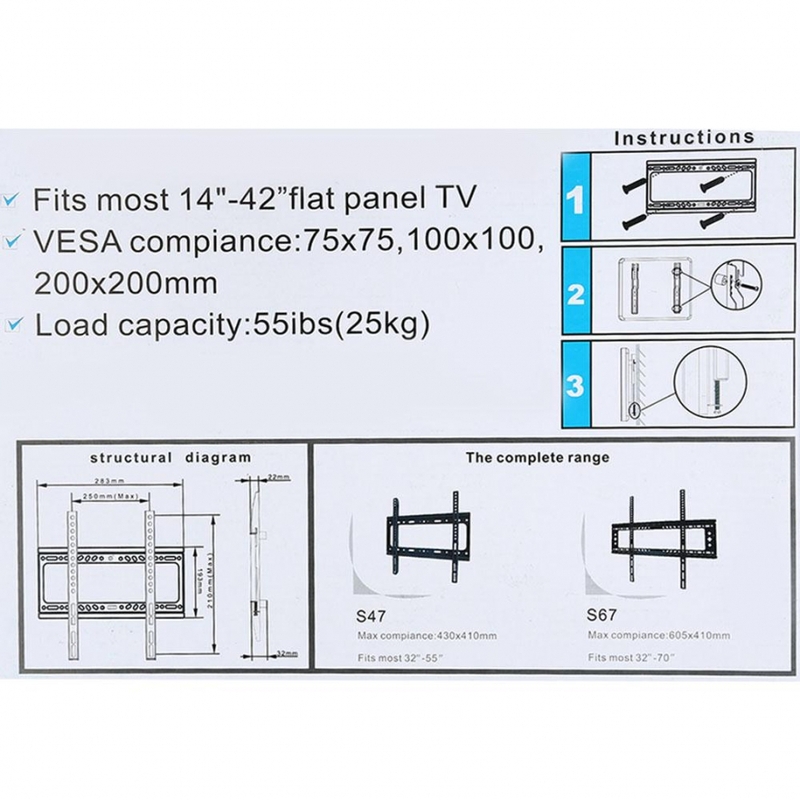 TV Wall Mount with VESA 75 * 75mm, 100 * 100mm, 200 * 200mm, which is perfectly suitable for 14" ~ 42" Screen LCD LED Plasma TV. 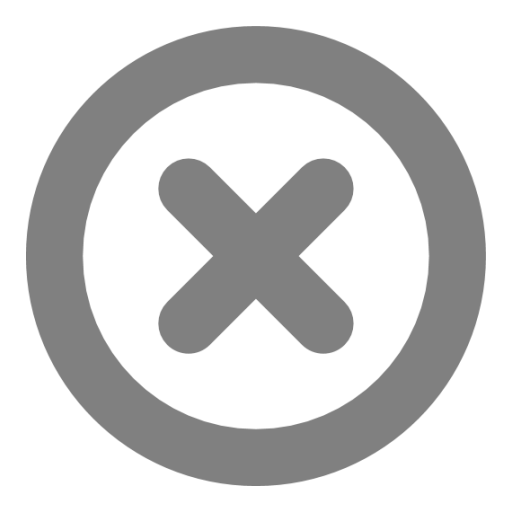 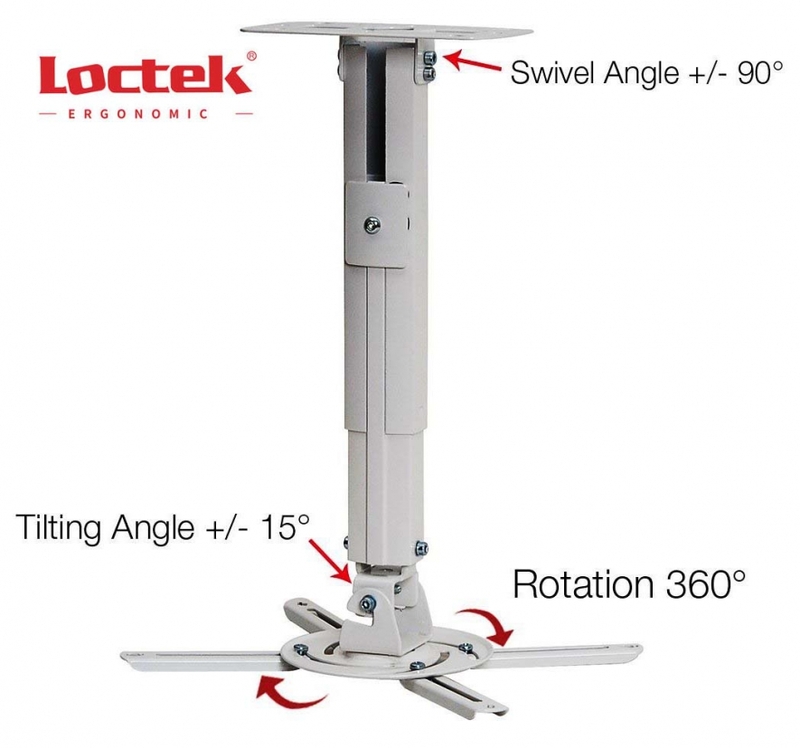 Can horizontally move the arm to a suitable and stable point. 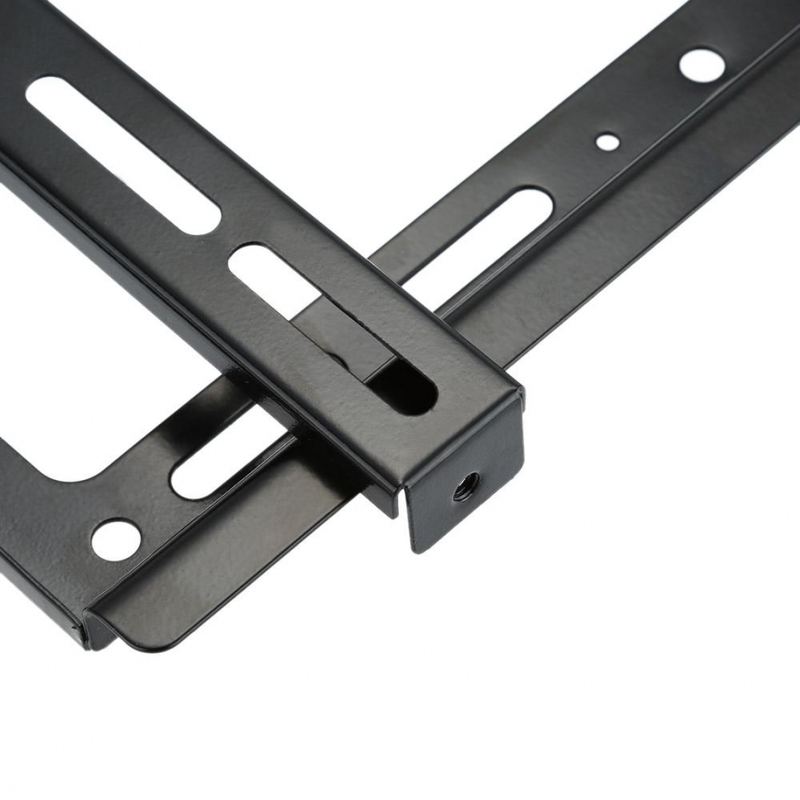 Convenient quick-release tabs design on both mounting bracket arms. 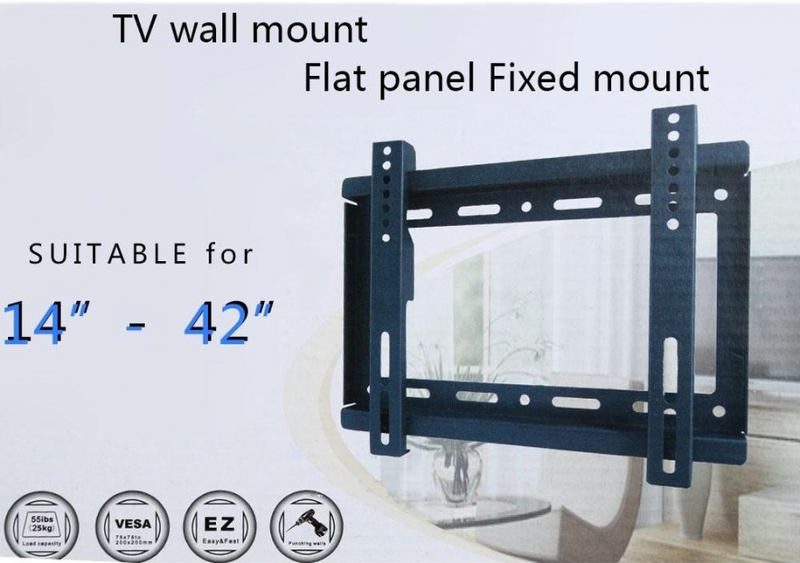 High-quality TV Wall Mount keeps your flat panel TV safe and stable, letting you Slim TV just like a picture hanging on the wall. 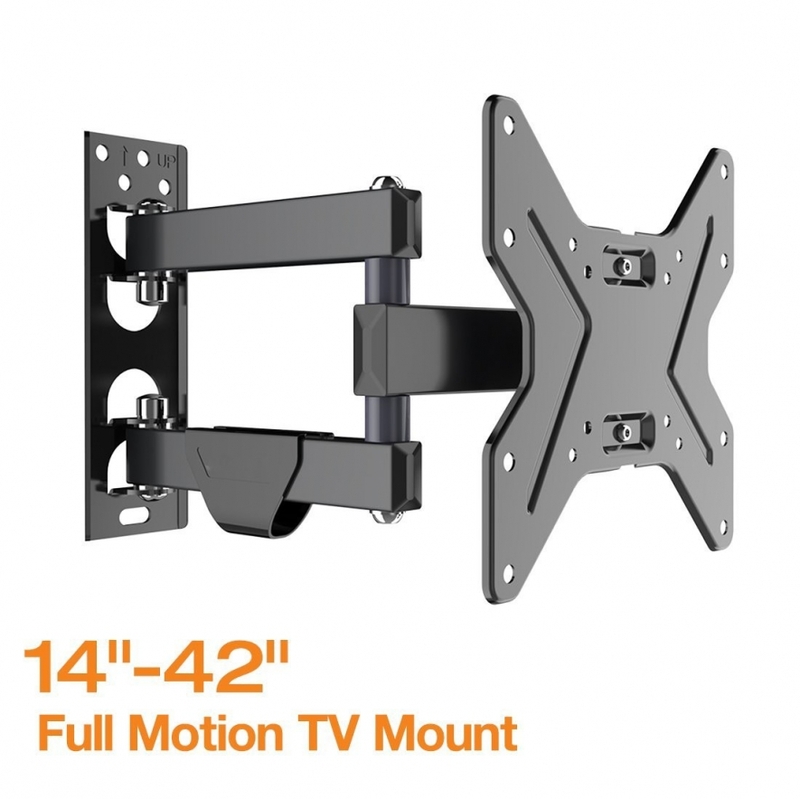 Easy and Fast to install the TV Wall Mount on the wall. 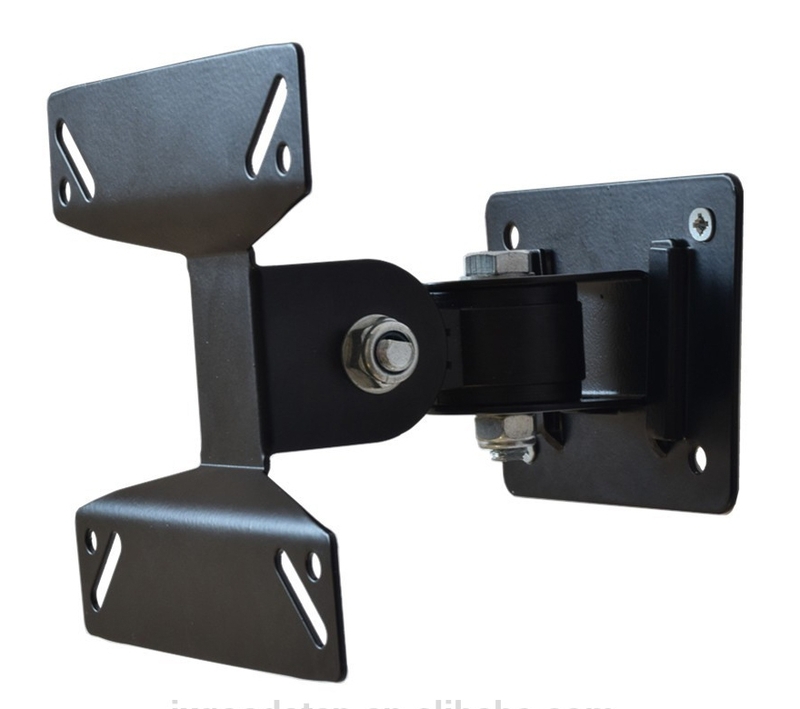 This wall mount is compatible with most flat-panel TVs and monitors from 35 - 107 cm (14'' - 42'') and a maximum weight of 25kg. 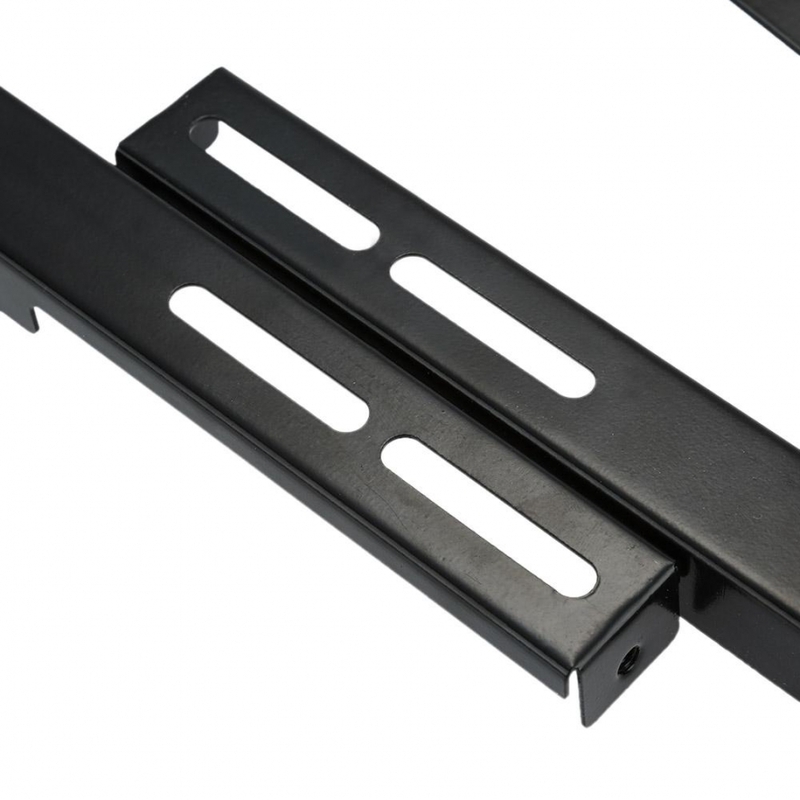 The extremely slim design allows an installation close to the wall with enough space for proper ventilation and installation of the cables. 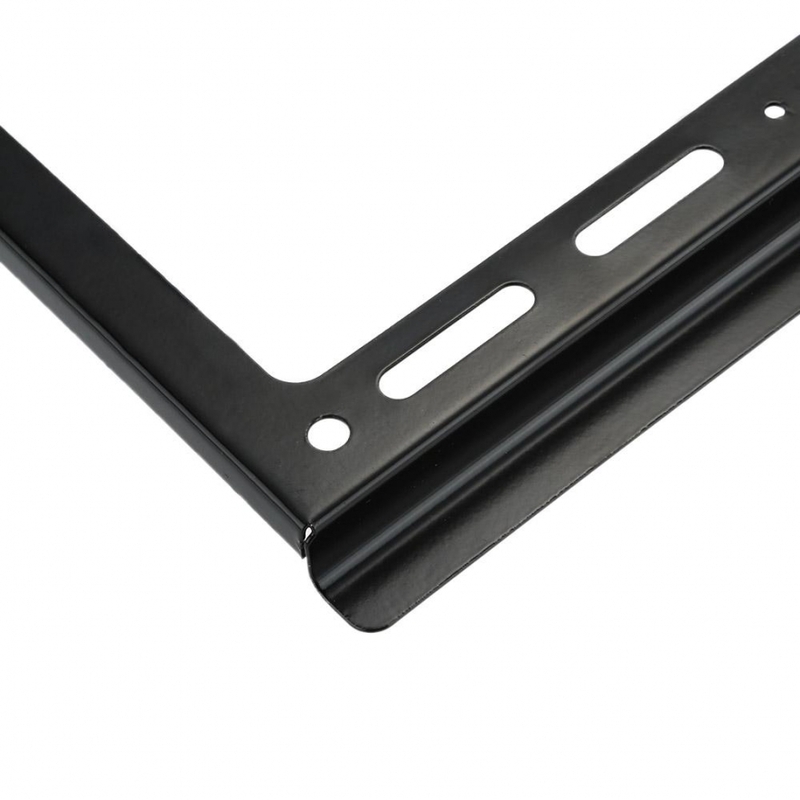 The slim wall plate is ideal for home use and can be mounted quickly and in a few steps.